We had just completed seven years of ocean cruising on board our yacht Vesper - an experience that every day underlined the importance of collision avoidance. And we shared a background in high-tech product design. Combining our understanding of marine safety with a passion for harnessing new technologies was the natural next-step for our lives. Joining us to bring together and lead the engineering team was Carl Omundsen, an incredibly creative and talented electronics designer and enthusiastic sailor. Vesper Marine was born. Since then Vesper Marine has grown steadily, as the world’s boat owners recognized the quality, innovative features and user-friendliness of our products. We remain a privately-held company, however in 2010 new shareholders joined us. One of these is the New Zealand government’s Venture Investment Fund (www.nzvif.co.nz). Support from our new shareholders has put us on an accelerated growth path that is allowing us to develop new markets and pursue exciting product development initiatives. 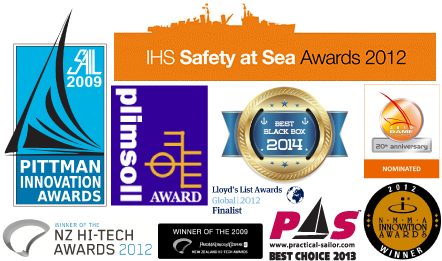 We are headquartered in the heart of New Zealand’s marine industry in Auckland. From here our product engineers and customer support technicians focus on the design excellence and after-sales support that we’ve become famous for. Vesper Marine products are available almost everywhere through our expanding worldwide network of marine electronics distributors and resellers. Learn more about becoming a Vesper Marine partner. Vesper Marine is dedicated to creating marine safety products with technically superior features, but just as important is the need to make them easy to use. Marine safety is too important to be hidden deep in menus or displayed on cluttered screens that make it hard to determine what’s important and what’s just noise. Rather than repackaging existing designs, our innovative design team develops products from the ground up. This allows much greater flexibility and better product performance. Their designs are brought to life by our highly trained and skilled manufacturing team. The people at Vesper Marine have many years experience developing unique AIS technology and are well-known for sharing their knowledge. When you buy a Vesper Marine product, you can be certain it’s 100% best-of-breed and that you’ll receive outstanding technical support both before and after you buy. The products we make far exceed the internationally recognized specifications and certifications for AIS. Our equipment is fully certified by the world’s independent authorization bureaus, including CE/EU, Germany, USA USCG & FCC, Canada IC, Australia and New Zealand. This ensures the product you buy is compatible, reliable and suitable for use everywhere you go. The extraordinary sensitivity of Vesper Marine AIS equipment has been adopted as a benchmark for AIS receivers. Our AIS solutions are incorporated in naval and commercial fleet operations as well as a variety of unique marine-based infrastructure projects for regional and national government authorities. We’ve also been a finalist for the prestigious 2010 and 2017 DAME Innovation Award and 2012 Lloyds List Global awards. 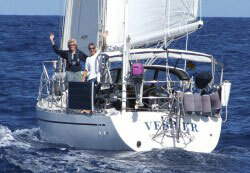 Vesper Marine products are available worldwide through our network of authorized distributors and resellers.